Since 2003 inCulto has played over 500 gigs for very different audiences mostly in Lithuania but also abroad (Poland, Latvia, Russia, Ukraine, USA). After the release of our debut album Post-Sov-Pop in 2005, they have received numerous Lithuanian awards (Radiocentras 2005, Bravo 2005/2006) and praise from the local critics. 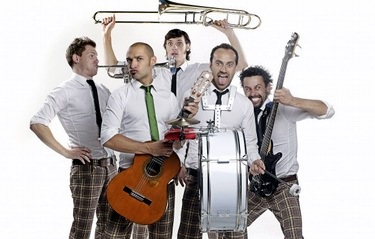 In 2006 video вЂњBoogalooвЂќ was the first Lithuanian video aired on MTV and were later nominated for an MTV award (вЂњbest Baltic actвЂќ) the same year. Second album вЂњHits in the Land of Mary" released in the late 2007. Album represents the different culture of Lithuanian music in different periods of time and is recorded with famous Lithuanian singers that made people dance 10 years before and makes people dance today. 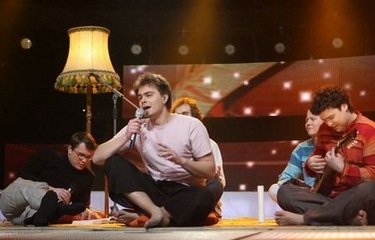 The song Pasiilgau namu was nominated to become the best Lithuanian song (Radiocentras awards). Culture makes us rich. A quirky synergy of cultural influences and styles makes our music rich. Through culturally rich music and performance we enrich ourselves as well as our audience. A punk-rock approach to what we do makes it fun, and keeps us from taking ourselves too seriously. 2) It has to stimulate our audience (it has to move the people on the dance floor). A bunch of musicians who want to live their lives to the fullest and are currently experiencing Вґpost post modernityВґ and avoiding the prospects of a 9 to 5 job. We are taking the risk of trying to make a living off what we love doing. The diversity of the musiciansВґ tastes and orientations is reflected in our recordings and on stage. Jurgis DidЕѕiulis (vocals, guitar) Aurelijus Morlencas (bass, back vocals) Sergej Makidon (drums) Laurynas Lape (trumpet) Nerijus Laukaitis (trombone, back vocals) Algirdas Drema (mixing board, effects, etc.) РќР°С‡РёРЅР°СЏ СЃ 2003 РіРѕРґР° inCulto РґР°Р»Рё Р±РѕР»РµРµ 500 РєРѕРЅС†РµСЂС‚РѕРІ РґР»СЏ СЂР°Р·Р»РёС‡РЅС‹С… Р°СѓРґРёС‚РѕСЂРёР№ РІ РѕСЃРЅРѕРІРЅРѕРј РІ Р›РёС‚РІРµ, РЅРѕ С‚Р°РєР¶Рµ Рё Р·Р° РіСЂР°РЅРёС†РµР№ (РџРѕР»СЊС€Р°, Р›Р°С‚РІРёСЏ, Р РѕСЃСЃРёСЏ, РЈРєСЂР°РёРЅР°, РЎРЁРђ). РџРѕСЃР»Рµ СЂРµР»РёР·Р° РґРµР±СЋС‚РЅРѕРіРѕ Р°Р»СЊР±РѕРјР° Post-Sov-Pop РІ 2005 РіРѕРґСѓ, РѕРЅРё РїРѕР»СѓС‡РёР»Рё СЂР°Р·Р»РёС‡РЅС‹Рµ РЅР°С†РёРѕРЅР°Р»СЊРЅС‹Рµ РїСЂРµРјРёРё (Radiocentras 2005, Bravo 2005/2006) Рё РїРѕС…РІР°Р»Сѓ РјРµСЃС‚РЅС‹С… РєСЂС‚РёРєРѕРІ. Р’ 2006 РіРѕРґСѓ РІРёРґРµРѕРєР»РёРї РЅР° РїРµСЃРЅСЋ "Boogaloo" СЃС‚Р°Р» РїРµСЂРІС‹Рј Р»РёС‚РѕРІСЃРєРёРј РІРёРґРµРѕРєР»РёРїРѕРј, РїРѕРєР°Р·Р°РЅРЅС‹Рј РЅР° MTV Рё РїРѕР·РґРЅРµРµ РЅРѕРјРёРЅРёСЂРѕРІР°РЅРЅС‹Рј РЅР° РїСЂРµРјРёСЋ MTV РєР°Рє Р»СѓС‡С€РёР№ РёСЃРїРѕР»РЅРёС‚РµР»СЊ РёР· СЃС‚СЂР°РЅ Р‘Р°Р»С‚РёРё. Р’С‚РѕСЂРѕР№ Р°Р»СЊР±РѕРј "Hits in the Land of Mary" Р±С‹Р» РІС‹РїСѓС‰РµРЅ РІ РєРѕРЅС†Рµ 2007 РіРѕРґР°. РђР»СЊР±РѕРј РїСЂРµРґСЃС‚Р°РІР»СЏРµС‚ СЂР°Р·Р»РёС‡РЅСѓСЋ РєСѓР»СЊС‚СѓСЂСѓ Р»РёС‚РѕРІСЃРєРѕР№ РјСѓР·С‹РєРё РІ СЂР°Р·Р»РёС‡РЅС‹Рµ РїРµСЂРёРѕРґС‹ РІСЂРµРјРµРЅРё Рё Р±С‹Р» Р·Р°РїРёСЃР°РЅ СЃ СѓС‡Р°СЃС‚РёРµРј Р·РЅР°РјРµРЅРёС‚С‹С… Р»РёС‚РѕРІСЃРєРёС… РјСѓР·С‹РєР°РЅС‚РѕРІ, РїРѕРґ РјСѓР·С‹РєСѓ РєРѕС‚РѕСЂС‹С… Р»СЋРґРё С‚Р°РЅС†РµРІР°Р»Рё 10 Р»РµС‚ РЅР°Р·Р°Рґ Рё С‚Р°РЅС†СѓСЋС‚ РґРѕ СЃРµРіРѕРґРЅСЏС€РЅРµРіРѕ РґРЅСЏ. РџРµСЃРЅСЏ СЃ РЅРµРіРѕ Pasiilgau namu Р±С‹Р»Р° РЅРѕРјРёРЅРёСЂРѕРІР°РЅР° РЅР° РїСЂРёР· Р»СѓС‡С€РµР№ РїРµСЃРЅРё Р›РёС‚РІС‹ (РїСЂРµРјРёСЏ Radiocentras). РљСѓР»СЊС‚СѓСЂР° РґРµР»Р°РµС‚ РЅР°СЃ Р±РѕРіР°С‡Рµ. РџСЂРёС‡СѓРґР»РёРІРѕРµ РІР·Р°РёРјРѕРґРµР№СЃС‚РІРёРµ РєСѓР»СЊС‚СѓСЂРЅС‹С… РІР»РёСЏРЅРёР№ Рё СЃС‚РёР»РµР№ РґРµР»Р°РµС‚ РЅР°С€Сѓ РјСѓР·С‹РєСѓ Р±РѕРіР°С‡Рµ. РџРѕСЃСЂРµРґСЃС‚РІРѕРј РєСѓР»СЊС‚СѓСЂРЅРѕ РѕР±РѕРіР°С‰РµРЅРЅРѕР№ РјСѓР·С‹РєРё Рё РІС‹СЃС‚СѓРїР»РµРЅРёР№ РјС‹ РѕР±РѕРіР°С‰Р°РµРј СЃР°РјРёС… СЃРµР±СЏ Рё РЅР°С€РёС… СЃР»СѓС€Р°С‚РµР»РµР№. РџР°РЅРє-СЂРѕРє РїРѕРґС…РѕРґ Рє С‚РѕРјСѓ, С‡С‚Рѕ РјС‹ РґРµР»Р°РµРј СЃРѕР·РґР°РµС‚ РІРµСЃРµР»СЊРµ Рё РЅРµ РґР°РµС‚ РЅР°Рј РІРѕСЃРїСЂРёРЅРёРјР°С‚СЊ СЃР°РјРёС… СЃРµР±СЏ СЃР»РёС€РєРѕРј СЃРµСЂСЊРµР·РЅРѕ. Both Hard Rock Cafe and Queens Pub hosted live performances by InCulto during the band's 3-day stay. It took just several songs for Hard Rock Cafe to confirm another concert of InCulto in the same location вЂ“ the band will perform on 25th May and you'll be able to watch the first Eurovision semi-final on big screens afterwards, so mark your calendars if you're in Oslo. 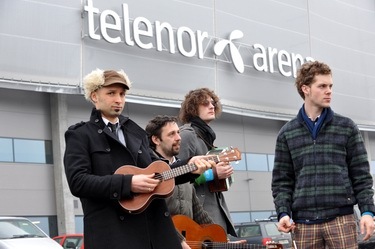 Apart from playing gigs (which included busking on the street during the NRK radio interview, in front of amused citizens of Oslo) and giving interviews, the band visited Telenor Arena where InCulto will be the first act to perform during the 2nd Eurovision semi-final on 27th of May. 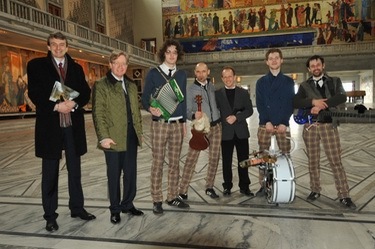 The band also met Mr. Torger Odegaard, Oslo's Commissioner for Culture, in the City Hall. During the meeting, InCulto performed their Eurovision song Eastern European Funk and presented the souvenirs вЂ“ Easter eggs from Lithuania coloured with Eurovision logo. Next stop вЂ“ Georgia and Armenia. 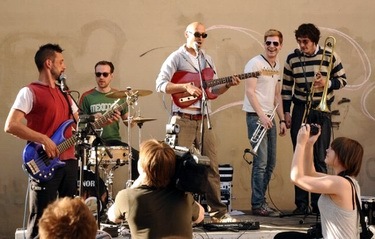 The band will be playing several gigs and having fun in Tbilisi (15th-16th April) and Yerevan (14th April). РџРµСЂРІР°СЏ РіСЂСѓРїРїР°, РїРѕСЃРµС‚РёРІС€Р°СЏ РћСЃР»Рѕ РІ СЂР°РјРєР°С… СЃРІРѕРµРіРѕ РїСЂРѕРјРѕ-С‚СѓСЂР°, Р»РёС‚РѕРІСЃРєР°СЏ РєРѕРјРјР°РЅРґР° InCulto РїРѕР·РЅР°РєРѕРјРёР»Р°СЃСЊ СЃ РіРѕСЂРѕРґРѕРј РІ СЃРѕР±СЃС‚РІРµРЅРЅРѕРј СЃС‚РёР»Рµ, РѕС‚С‹РіСЂР°РІ РЅРµСЃРєРѕР»СЊРєРѕ РєРѕРЅС†РµСЂС‚РѕРІ, РїРѕСЃРµС‚РёРІ РґРѕСЃС‚РѕРїСЂРёРјРµС‡Р°С‚РµР»СЊРЅРѕСЃС‚Рё РіРѕСЂРѕРґР° Рё Р·Р°СЂР°Р±РѕС‚Р°РІ 85 РЅРѕСЂРІРµР¶СЃРєРёС… РєСЂРѕРЅ РІРѕ РІСЂРµРјСЏ РїРѕР»СѓС‡Р°СЃРѕРІРѕР№ СЃРµСЃСЃРёРё РЅР° С†РµРЅС‚СЂР°Р»СЊРЅРѕР№ СѓР»РёС†Рµ РіРѕСЂРѕРґР°. Р—Р° С‚СЂРё РґРЅСЏ РїСЂРµР±С‹РІР°РЅРёСЏ InCulto РІ СЃС‚РѕР»РёС†Рµ РћСЃР»Рѕ СЃРѕСЃС‚РѕСЏР»РёСЃСЊ РІС‹СЃС‚СѓРїР»РµРЅРёСЏ РІ Hard Rock Cafe Рё Queens Pub. РҐРІР°С‚РёР»Рѕ РІСЃРµРіРѕ РЅРµСЃРєРѕР»СЊРєРѕ РїРµСЃРµРЅ, С‡С‚РѕР±С‹ РґРѕСЃС‚РёС‡СЊ РґРѕРіРѕРІРѕСЂРµРЅРЅРѕСЃС‚СЊ Рѕ С‚РѕРј, С‡С‚Рѕ РіСЂСѓРїРїР° СЃРЅРѕРІР° РІС‹СЃС‚СѓРїРёС‚ РІ Hard Rock Cafe 25РіРѕ РјР°СЏ, РіРґРµ РїРѕСЃР»Рµ СЌС‚РѕРіРѕ РјРѕР¶РЅРѕ Р±СѓРґРµС‚ РїРѕСЃРјРѕС‚СЂРµС‚СЊ РєРѕРЅРєСѓСЂСЃ РЅР° Р±РѕР»СЊС€РѕРј СЌРєСЂР°РЅРµ, РїРѕСЌС‚РѕРјСѓ, РµСЃР»Рё РІС‹ РѕРєР°Р¶РµС‚РµСЃСЊ РІ РјР°Рµ РІ СЃС‚РѕР»РёС†Рµ Р•РІСЂРѕРІРёРґРµРЅРёСЏ, РёРјРµР№С‚Рµ СЌС‚Рѕ РІ РІРёРґСѓ. РџРѕРјРёРјРѕ РєРѕРЅС†РµСЂС‚РЅС‹С… РІС‹СЃС‚СѓРїР»РµРЅРёР№ (РІРєР»СЋС‡Р°СЏ СѓР»РёС‡РЅРѕРµ Р·Р°СЂР°Р±Р°С‚С‹РІР°РЅРёРµ РґРµРЅРµРі РІРѕ РІСЂРµРјСЏ СЂР°РґРёРѕ РёРЅС‚РµСЂРІСЊСЋ NRK РїРµСЂРµРґ РЅРµСЃРєРѕР»СЊРєРёРјРё СЃРѕС‚РЅСЏРјРё СѓРґРёРІР»РµРЅРЅС‹С… РіРѕСЂРѕР¶Р°РЅ), РіСЂСѓРїРїР° РїРѕСЃРµС‚РёР»Р° РўРµР»РµРЅРѕСЂ РђСЂРµРЅСѓ, РІ РєРѕС‚РѕСЂРѕР№ InCulto СЃС‚Р°РЅСѓС‚ РїРµСЂРІРѕР№ РіСЂСѓРїРїРѕР№, РєРѕС‚РѕСЂР°СЏ РІС‹Р№РґРµС‚ РЅР° СЃС†РµРЅСѓ 2РіРѕ РїРѕР»СѓС„РёРЅР°Р»Р° РєРѕРЅРєСѓСЂСЃР° 27РіРѕ РјР°СЏ. Р“СЂСѓРїРїР° С‚Р°РєР¶Рµ РІСЃС‚СЂРµС‚РёР»Р°СЃСЊ СЃ Рі-РЅРѕРј РўРѕСЂРіРµСЂРѕРј РћРґРµРіР°Р°СЂРґРѕРј, РіР»Р°РІРѕР№ РєРѕРјРёС‚РµС‚Р° РїРѕ РєСѓР»СЊС‚СѓСЂРµ Р°РґРјРёРЅРёСЃС‚СЂР°С†РёРё РћСЃР»Рѕ РІ РіРѕСЂРѕРґСЃРєРѕР№ РјСЌСЂРёРё. Р’Рѕ РІСЂРµРјСЏ РІСЃС‚СЂРµС‡Рё, InCulto РёСЃРїРѕР»РЅРёР»Рё СЃРІРѕСЋ РєРѕРЅРєСѓСЂСЃРЅСѓСЋ РїРµСЃРЅСЋ Eastern European Funk Рё РїСЂРµР·РµРЅС‚РѕРІР°Р»Рё СЃРІРѕРё СЃСѓРІРµРЅРёСЂС‹ - РїР°СЃС…Р°Р»СЊРЅС‹Рµ СЏР№С†Р° РёР· Р›РёС‚РІС‹, СѓРєСЂР°С€РµРЅРЅС‹Рµ Р»РѕРіРѕС‚РёРїРѕРј Р•РІСЂРѕРІРёРґРµРЅРёСЏ. Рљ СЃРѕР¶Р°Р»РµРЅРёСЋ, СЃРѕСЂРІР°Р»СЃСЏ РїР»Р°РЅ РІСЃС‚СЂРµС‡Рё РіСЂСѓРїРїС‹ СЃ РќРѕСЂРѕР№ Р‘СЂРѕРєСЃС‚РµРґС‚, РЅРѕСЂРІРµР¶СЃРєРѕР№ Р»РµРіРµРЅРґРѕР№ Р•РІСЂРѕРІРёРґРµРЅРёСЏ, РїСЂРµРґСЃС‚Р°РІР»СЏРІС€РµР№ СЃРІРѕСЋ СЃС‚СЂР°РЅСѓ РЅР° РєРѕРЅРєСѓСЂСЃР°С… 1960 Рё 1961 РіРѕРґР°, РїРѕСЃРєРѕР»СЊРєСѓ РѕРЅР° РЅРµ РѕС‡РµРЅСЊ С…РѕСЂРѕС€Рѕ СЃРµР±СЏ С‡СѓРІСЃС‚РІРѕРІР°Р»Р°. РћРґРЅР°РєРѕ, РіСЂСѓРїРїР° РЅР°РґРµРµС‚СЃСЏ РїРѕР·РЅР°РєРѕРјРёС‚СЊСЃСЏ СЃ РЅРµР№ РІ РєРѕРЅС†Рµ РјР°СЏ. РЎР»РµРґСѓСЋС‰РёРјРё РѕСЃС‚Р°РЅРѕРІРєР°РјРё РІ С‚СѓСЂРЅРµ Р±СѓРґСѓС‚ Р“СЂСѓР·РёСЏ Рё РђСЂРјРµРЅРёСЏ. Р“СЂСѓРїРїР° РґР°СЃС‚ РЅРµСЃРєРѕР»СЊРєРѕ РєРѕРЅС†РµСЂС‚РѕРІ РІ РўР±РёР»РёСЃРё (15-16 Р°РїСЂРµР»СЏ) Рё Р•СЂРµРІР°РЅРµ (14 Р°РїСЂРµР»СЏ). Jury: music producer of LRT Jonas Vilimas, composer Linas Rimsa, singer Neda Malunaviciute, composer Mindaugas Urbaitis. 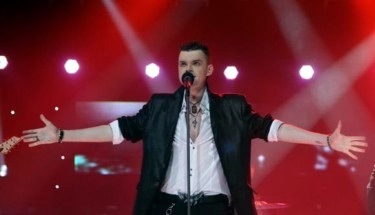 22/02 Winner of the 2nd semifinal of Lithuanian preselection Donatas Montvydas and his song "Running Fast" has been disqualified by LRT. It has appeared that singer took part with the same song under the title "No One's Gonna Believe" on July 4th in "Europe Sings" contest in Banja Luca, Bosnia. "There is no doubt that this is serious infrigement of the rules of the contest - the song has been performed in public, even broadcasted of the TV... It was under a different name, so initially this case slipped of the hands of LATGA-A. But now we're very sorry, but we have to disqualify the artist" said national selection producer Audrius Girzadas to Delfi. "I will come stronger next year", says the singer, "I was not aware that the festival was broadcasted on TV, because it was very small. I wasn't even aware it was filmed. I'm sorry for what had happened". РџРѕР±РµРґРёС‚РµР»СЊ 2РіРѕ РїРѕР»СѓС„РёРЅР°Р»Р° Р»РёС‚РѕРІСЃРєРѕРіРѕ РѕС‚Р±РѕСЂР° Р”РѕРЅР°С‚Р°СЃ РњРѕРЅС‚РІРёРґР°СЃ Рё РµРіРѕ РїРµСЃРЅСЏ "Running Fast" Р±С‹Р»Р° РґРёСЃРєРІР°Р»РёС„РёС†РёСЂРѕРІР°РЅР° LRT. РљР°Рє РѕРєР°Р·Р°Р»РѕСЃСЊ, РїРµРІРµС† СѓР¶Рµ РёСЃРїРѕР»РЅСЏР» РґР°РЅРЅСѓСЋ РїРµСЃРЅСЋ РїРѕРґ РґСЂСѓРіРёРј РЅР°Р·РІР°РЅРёРµРј "No One's Gonna Believe" 4РіРѕ РёСЋР»СЏ РїСЂРѕС€Р»РѕРіРѕ РіРѕРґР° РЅР° С„РµСЃС‚РёРІР°Р»Рµ "Europe Sings" РІ Р‘Р°РЅСЊРµ-Р›СѓРєРµ, Р‘РѕСЃРЅРёСЏ. "Р’РЅРµ РІСЃСЏРєРѕРіРѕ СЃРѕРјРЅРµРЅРёСЏ - СЌС‚Рѕ СЃРµСЂСЊРµР·РЅРѕРµ РЅР°СЂСѓС€РµРЅРёРµ РїСЂР°РІРёР» РєРѕРЅРєСѓСЂСЃР° - РїРµСЃРЅСЏ РёСЃРїРѕР»РЅСЏР»Р°СЃСЊ РїСѓР±Р»РёС‡РЅРѕ, РґР°Р¶Рµ Р±С‹Р»Р° РїРѕРєР°Р·Р°РЅР° РїРѕ РўР’... РћРЅР° Р±С‹Р»Р° РїРѕРґ РґСЂСѓРіРёРј РЅР°Р·РІР°РЅРёРµРј, РїРѕСЌС‚РѕРјСѓ РїРµСЂРІРѕРЅР°С‡Р°Р»СЊРЅРѕ LATGA-A РЅРµ Р·Р°РјРµС‚РёР»Р° СЌС‚РѕРіРѕ. РќРѕ СЃРµР№С‡Р°СЃ, РЅР°Рј РѕС‡РЅСЊ Р¶Р°Р»СЊ, РЅРѕ РјС‹ РІС‹РЅСѓР¶РґРµРЅС‹ РґРёСЃРєРІР°Р»РёС„РёС†РёСЂРѕРІР°С‚СЊ Р°СЂС‚РёСЃС‚Р°", Р·Р°СЏРІРёР» Delfi РїСЂРѕРґСЋСЃРµСЂ РѕС‚Р±РѕСЂР° РђСѓРґСЂРёСѓСЃ Р“РёСЂР¶Р°РґР°СЃ. "РЇ РІРµСЂРЅСѓСЃСЊ РІ СЃР»РµРґСѓСЋС‰РµРј РіРѕРґСѓ", РѕС‚СЂРµР°РіРёСЂРѕРІР°Р» РёСЃРїРѕР»РЅРёС‚РµР»СЊ, "РЇ РЅРµ Р·РЅР°Р», С‡С‚Рѕ СЌС‚РѕС‚ С„РµСЃС‚РёРІР°Р»СЊ С‚СЂР°РЅСЃР»РёСЂРѕРІР°Р»СЃСЏ РїРѕ РўР’, РїРѕС‚РѕРјСѓ С‡С‚Рѕ РѕРЅ Р±С‹Р» РѕС‡РµРЅСЊ РјР°Р»РµРЅСЊРєРёРј. РЇ РґР°Р¶Рµ РЅРµ Р·РЅР°Р», С‡С‚Рѕ РІРµР»Р°СЃСЊ СЃСЊРµРјРєР°. РњРЅРµ Р¶Р°Р»СЊ, С‡С‚Рѕ СЌС‚Рѕ РїСЂРѕРёР·РѕС€Р»Рѕ". simply did not meet the criteria of quality songs, some were rejected as being very close to plagiarism. Worth to mention is the return of veterans of the preselections, Aiste Pilvelyte, who will run for 8th time, band Saules kliosas which will appear at the national final stage for 6th time and Tautrimas Rupulevicius-Onsa who will go on his 5th attempt. As we've reported earlier, band InCulto and Donatas Montvydas are also considered one of the pre-contest favourites, while Sasha Son and band 4Fun will try to repeat their successes from previous years and once again win Eurovision ticket. Three semifinals and final will be held. First broadcast is scheduled for 13th of February (will be recorded on 11th of February). 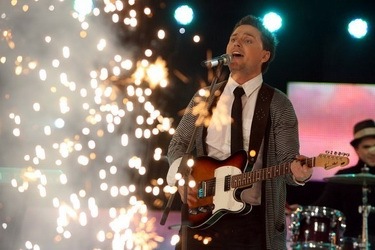 National final will be broadcasted live, on 4th of March. Top 3 on 50/50 vote jury and televoting will qualify to the final, plus 3 more wildcards will be given out by jury to make 12 participants in each of the shows. 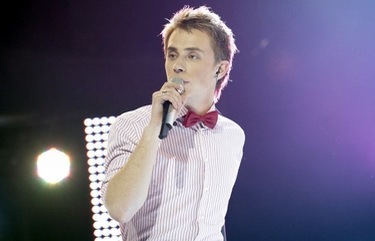 Giedrius Masalskis will be host of the shows. There is also a change in the position of Lithuanian head of delegation. Jonas Vilimas, who was head of delegation for the 8 years will be replaced by Audrius Girzadas. 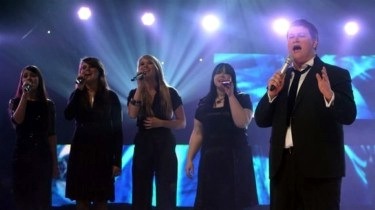 Eurovision fans may remember him as host of the national preselection for Eurovision Dance Contest. "Head of the delegation obligations are big professional challenge, while on the other hand, they also bring significant headaches. But to see how is organized a huge international television competition is an invaluable professional experience", - said Mr.Girzadas. РЎРµРіРѕРґРЅСЏ, С‚РµР»РµРєРѕРјРїР°РЅРёСЏ Р›РёС‚РІС‹ РѕРїСѓР±Р»РёРєРѕРІР°Р»Р° СЃРїРёСЃРѕРє РїРµСЃРµРЅ, РєРѕС‚РѕСЂС‹Рµ РїСЂРёРјСѓС‚ СѓС‡Р°СЃС‚РёРµ РІ РЅР°С†РёРѕРЅР°Р»СЊРЅРѕРј РѕС‚Р±РѕСЂРµ РЅР° Р•РІСЂРѕРІРёРґРµРЅРёРµ 2010. 36 РєРѕРјРїРѕР·РёС†РёР№ Р±С‹Р»Рѕ РІС‹Р±СЂР°РЅРѕ РёР· 81 РїРѕР»СѓС‡РµРЅРЅРѕР№ Р·Р°СЏРІРєРё. РљР°Рє СЃРѕРѕР±С‰РёР» РјСѓР·С‹РєР°Р»СЊРЅС‹Р№ РїСЂРѕРґСЋСЃРµСЂ LRT Р™РѕРЅР°СЃ Р’РёР»РёРјР°СЃ, РЅРµРєРѕС‚РѕСЂС‹Рµ РїРµСЃРЅРё РїСЂРѕСЃС‚Рѕ РЅРµ СЃРѕРѕС‚РІРµС‚СЃС‚РІРѕРІР°Р»Рё РєСЂРёС‚РµСЂРёСЏРј РєР°С‡РµСЃС‚РІРµРЅРЅС‹С… РєРѕРјРїРѕР·РёС†РёР№, РЅРµРєРѕС‚РѕСЂС‹Рµ Р±С‹Р»Рё РѕС‚РІРµСЂРіРЅСѓС‚С‹ РёР·-Р·Р° РїРѕРґРѕР·СЂРµРЅРёР№ РІ РїР»Р°РіРёР°С‚Рµ. РќРµРѕР±С…РѕРґРёРјРѕ РѕС‚РјРµС‚РёС‚СЊ РІРѕР·РІСЂР°С‰РµРЅРёРµ РІРµС‚РµСЂР°РЅРѕРІ РѕС‚Р±РѕСЂРѕРІ, Ayste Pilvelyte, РєРѕС‚РѕСЂР°СЏ РІС‹СЃС‚СѓРїРёС‚ РЅР° РЅРёС… РІ 8Р№ СЂР°Р·, РіСЂСѓРїРїС‹ Saules kliosas - РІ 6Р№ СЂР°Р· Рё Tautrimas Rupulevicius-Onsa - РІ 5Р№ СЂР°Р·. РљР°Рє РјС‹ СЃРѕРѕР±С‰Р°Р»Рё СЂР°РЅРµРµ, РіСЂСѓРїРїС‹ InCulto Рё Donatas Montvyday СЃС‡РёС‚Р°СЋС‚СЃСЏ РѕРґРЅРёРјРё РёР· РїСЂРµРґРєРѕРЅРєСѓСЂСЃРЅС‹С… С„Р°РІРѕСЂРёС‚РѕРІ, Р° Sasha Son Рё РіСЂСѓРїРїР° 4Fun РїРѕСЃС‚Р°СЂР°СЋС‚СЃСЏ РїРѕРІС‚РѕСЂРёС‚СЊ СЃРІРѕР№ СѓСЃРїРµС… РїСЂРѕС€Р»С‹С… Р»РµС‚ Рё РІРЅРѕРІСЊ Р·Р°РІРѕРµРІР°С‚СЊ РїСѓС‚РµРІРєСѓ РЅР° Р•РІСЂРѕРІРёРґРµРЅРёРµ. Р’СЃРµРіРѕ Р±СѓРґРµС‚ РїСЂРѕРІРµРґРµРЅРѕ 3 РїРѕР»СѓС„РёРЅР°Р»Р° Рё С„РёРЅР°Р». РџРµСЂРІС‹Р№ СЌС„РёСЂ Р·Р°РїР»Р°РЅРёСЂРѕРІР°РЅ РЅР° 13Рµ С„РµРІСЂР°Р»СЏ (Р·Р°РїРёСЃСЊ РїСЂРѕР№РґРµС‚ 11РіРѕ С„РµРІСЂР°Р»СЏ). РќР°С†РёРѕРЅР°Р»СЊРЅС‹Р№ С„РёРЅР°Р» РІС‹Р№РґРµС‚ РІ СЌС„РёСЂ "РІР¶РёРІСѓСЋ", 4РіРѕ РјР°СЂС‚Р°. Р›СѓС‡С€РёРµ 3 РїРµСЃРЅРё РїРѕ СЂРµС€РµРЅРёСЋ С‚РµР»РµР·СЂРёС‚РµР»РµР№ Рё Р¶СЋСЂРё 50/50 РІС‹Р№РґСѓС‚ РІ С„РёРЅР°Р», РµС‰Рµ 3 РІР°Р№Р»РґРєР°СЂС‚С‹ Р±СѓРґСѓС‚ РѕРїСЂРµРґРµР»РµРЅС‹ СЂРµС€РµРЅРёРµРј Р¶СЋСЂРё, С‚Р°РєРёРј РѕР±СЂР°Р·РѕРј, РІ РєР°Р¶РґРѕРј РєРѕРЅС†РµСЂС‚Рµ РїСЂРёРјСѓС‚ СѓС‡Р°СЃС‚РёРµ РїРѕ 12 РёСЃРїРѕР»РЅРёС‚РµР»РµР№. Р“РёРµРґСЂРёСѓСЃ РњР°СЃР°Р»СЃРєРёСЃ СЃС‚Р°РЅРµС‚ РІРµРґСѓС‰РёРј С€РѕСѓ. РўР°РєР¶Рµ, РѕР±СЉСЏРІР»РµРЅРѕ Рѕ СЃРјРµРЅРµ РіР»Р°РІС‹ РґРµР»РµРіР°С†РёРё Р›РёС‚РІС‹. Р’РјРµСЃС‚Рѕ Р™РѕРЅР°СЃР° Р’РёР»РёРјР°СЃР°, РєРѕС‚РѕСЂС‹Р№ Р·Р°РЅРёРјР°Р» СЌС‚Сѓ РїРѕР·РёС†РёСЋ РІРѕСЃРµРјСЊ Р»РµС‚, РЅР° СЃРјРµРЅСѓ РїСЂРёС€РµР» РђСѓРґСЂРёСѓСЃ Р“РёСЂР¶Р°РґР°СЃ. РџРѕРєР»РѕРЅРЅРёРєРё Р•РІСЂРѕРІРёРґРµРЅРёСЏ РІСЃРїРѕРјРЅСЏС‚ РµРіРѕ РєР°Рє РІРµРґСѓС‰РµРіРѕ РЅР°С†РёРѕРЅР°Р»СЊРЅРѕРіРѕ РѕС‚Р±РѕСЂР° Р›РёС‚РІС‹ РЅР° РўР°РЅС†РµРІР°Р»СЊРЅРѕРµ Р•РІСЂРѕРІРёРґРµРЅРёРµ. "РћР±СЏР·Р°РЅРЅРѕСЃС‚Рё РіР»Р°РІС‹ РґРµР»РµРіР°С†РёРё СЌС‚Рѕ Р±РѕР»СЊС€РѕР№ РїСЂРѕС„РµСЃСЃРёРѕРЅР°Р»СЊРЅС‹Р№ РІС‹Р·РѕРІ, РЅРѕ СЃ РґСЂСѓРіРѕР№ СЃС‚РѕСЂРѕРЅС‹ - СЌС‚Рѕ Рё Р±РѕР»СЊС€Р°СЏ РіРѕР»РѕРІРЅР°СЏ Р±РѕР»СЊ. РќРѕ РІРѕР·РјРѕР¶РЅРѕСЃС‚СЊ СѓРІРёРґРµС‚СЊ РёР·РЅСѓС‚СЂРё РІСЃСЋ РѕСЂРіР°РЅРёР·Р°С†РёСЋ РѕРіСЂРѕРјРЅРѕРіРѕ С‚РµР»РµРІРёР·РёРѕРЅРЅРѕРіРѕ С€РѕСѓ РґР°СЃС‚ Р±РµСЃС†РµРЅРЅС‹Р№ РїСЂРѕС„РµСЃСЃРёРѕРЅР°Р»СЊРЅС‹Р№ РѕРїС‹С‚", РѕС‚РјРµС‚РёР» Р“РёСЂР¶Р°РґР°СЃ. RЕ«ta ЕЅibaitytД— & Kafka - "Tonight"
31/01 Tomorrow, Lithuanian broadcaster is due to announce details of it's national preselection for Eurovision Song Contest 2010. It is expected that show format will include from 3 to 5 televized rounds, not following the format of "Dainu Daina" show from last year, but being simple Eurovision preselection with jury and televoters choosing the winners. Songs: RЕ«ta & Kafka (RЕ«ta ЕЅibaitytД— and Edgaras KapoДЌius) - "Tonight", Mino вЂ“ "Angela", Valdas вЂ“ "Tu PaЕЎauk vardu", Marta & Jumbo (Marta LukoЕЎiutД— and Giedrius BalДЌiЕ«nas) вЂ” "Guardian angel", Cardinal (Dalius MockeviДЌius) - "Pagarba", "Agama" (Violeta JurkonienД—-Sati and Tomu ЕЅilinsku-Tapana) - "Field of Kings"; songs of experienced NF participants: UrtД— Е ilagalytД— (NF 2009) - "Angelai", Mini me (EglД— JuneviДЌiЕ«tД—, NF 2007-08) - "AmЕѕinai", AgnieЕЎka (NF 2004-05) вЂ” "Stay by my side", RamЕ«nas Difartas (NF 2002, 2004) вЂ” "Blues of life", Audrius (NF 2001) вЂ” "Right now", songs of returning former Eurovision participants: Sasha Son - "Panele", Sasha Son & Nora Strolyte - "Say yes to Life", 4FUN вЂ” "DonвЂ™t you know", as well as demo of early preselection favourites Inculto вЂ” "Eastern European funk" can be heard on the official website of the preselection eurovizija.zebra.lt. 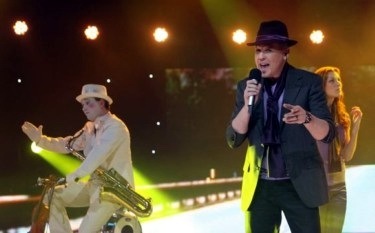 Couple of more songs: Donatas Montvydas вЂ“ "Running fast" and Е irdelД—s вЂ” "AЕЎ ir tu" can be heard on delfi.lt, and some more: Greta (NF 2009) - "Boogie night", Groove Solid вЂ” "Infected", Monika LinkytД— (2007 JESC NF) - "Give away", Raimonda MasiulytД— (NF 2008) - "LedinД— ЕЎirdis" on eurodiena.lt. Among the other artists that have submitted entries are Amberlife, Jonas ДЊepulis, JЕ«ratД— MiliauskaitД—, ONSA, Ruslanas Kirilkinas, SaulД—s klioЕЎas, Simona GreiДЌiЕ«tД—, Soliaris. 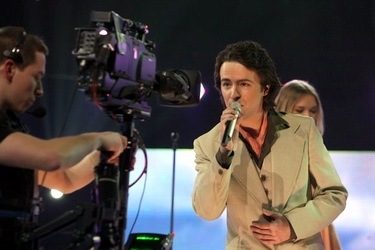 According to the executive producer of LRT Ruta GruЕѕinskaitД— the interest this year is lower than in previous one due to the fact that Lithuania was able to confirm it's Eurovision participation only on the verge of the new year, thus preselection rules were publish late and some artists claimed they do not have enough of time to record a song. Р—Р°РІС‚СЂР°, С‚РµР»РµРєРѕРјРїР°РЅРёСЏ Р›РёС‚РІС‹ РґРѕР»Р¶РЅР° РѕР±СЉСЏРІРёС‚СЊ РґРµС‚Р°Р»Рё СЃРІРѕРµРіРѕ РЅР°С†РёРѕРЅР°Р»СЊРЅРѕРіРѕ РѕС‚Р±РѕСЂР° РЅР° РєРѕРЅРєСѓСЂСЃ Р•РІСЂРѕРІРёРґРµРЅРёРµ 2010. РћР¶РёРґР°РµС‚СЃСЏ, С‡С‚Рѕ С„РѕСЂРјР°С‚ С€РѕСѓ Р±СѓРґРµС‚ РІРєР»СЋС‡Р°С‚СЊ РІ СЃРµР±СЏ РѕС‚ 3 РґРѕ 5 РєРѕРЅС†РµСЂС‚РѕРІ, РЅРµ СЃР»РµРґСѓСЋС‰РёС… С„РѕСЂРјР°С‚Сѓ "Dainu Daina" РїСЂРѕС€Р»РѕРіРѕ РіРѕРґР°, Р° СЏРІР»СЏСЋС‰РёС…СЃСЏ РѕР±С‹С‡РЅС‹Рј РѕС‚Р±РѕСЂРѕРј РЅР° Р•РІСЂРѕРІРёРґРµРЅРёРµ, РіРґРµ Р¶СЋСЂРё Рё С‚РµР»РµР·СЂРёС‚РµР»Рё РІС‹Р±РµСЂСѓС‚ РїРѕР±РµРґРёС‚РµР»РµР№. РџРµСЃРЅРё: RЕ«ta & Kafka (RЕ«ta ЕЅibaitytД— Рё Edgaras KapoДЌius) - "Tonight", Mino вЂ“ "Angela", Valdas вЂ“ "Tu PaЕЎauk vardu", Marta & Jumbo (Marta LukoЕЎiutД— Рё Giedrius BalДЌiЕ«nas) вЂ” "Guardian angel", Cardinal (Dalius MockeviДЌius) - "Pagarba", "Agama" (Violeta JurkonienД—-Sati Рё Tomu ЕЅilinsku-Tapana) - "Field of Kings"; РїРµСЃРЅРё РѕРїС‹С‚РЅС‹С… РєРѕРЅРєСѓСЂСЃР°РЅС‚РѕРІ РѕС‚Р±РѕСЂРѕРІ: UrtД— Е ilagalytД— (NF 2009) - "Angelai", Mini me (EglД— JuneviДЌiЕ«tД—, NF 2007-08) - "AmЕѕinai", AgnieЕЎka (NF 2004-05) вЂ” "Stay by my side", RamЕ«nas Difartas (NF 2002, 2004) вЂ” "Blues of life", Audrius (NF 2001) вЂ” "Right now", РїРµСЃРЅРё РІРѕР·РІСЂР°С‰Р°СЋС‰РёС…СЃСЏ РєРѕРЅРєСѓСЂСЃР°РЅС‚РѕРІ Р•РІСЂРѕРІРёРґРµРЅРёСЏ: Sasha Son - "Panele", Sasha Son & Nora Strolyte - "Say yes to Life", 4FUN вЂ” "DonвЂ™t you know", Р° С‚Р°РєР¶Рµ РґРµРјРѕ С„Р°РІРѕСЂРёС‚РѕРІ РѕС‚Р±РѕСЂР° Inculto вЂ” "Eastern European funk" РјРѕР¶РЅРѕ СѓСЃР»С‹С€Р°С‚СЊ РЅР° РѕС„РёС†РёР°Р»СЊРЅРѕРј СЃР°Р№С‚Рµ РєРѕРЅРєСѓСЂСЃР° eurovizija.zebra.lt. Р•С‰Рµ РЅРµСЃРєРѕР»СЊРєРѕ РїРµСЃРµРЅ: Donatas Montvydas вЂ“ "Running fast" Рё Е irdelД—s вЂ” "AЕЎ ir tu" РјРѕР¶РЅРѕ СѓСЃР»С‹С€Р°С‚СЊ РЅР° delfi.lt, Р° Greta (NF 2009) - "Boogie night", Groove Solid вЂ” "Infected", Monika LinkytД— (2007 JESC NF) - "Give away", Raimonda MasiulytД— (NF 2008) - "LedinД— ЕЎirdis" РЅР° eurodiena.lt. РЎСЂРµРґРё РґСЂСѓРіРёС… РёСЃРїРѕР»РЅРёС‚РµР»РµР№, РїРѕРґР°РІС€РёС… Р·Р°СЏРІРєРё: Amberlife, Jonas ДЊepulis, JЕ«ratД— MiliauskaitД—, ONSA, Ruslanas Kirilkinas, SaulД—s klioЕЎas, Simona GreiДЌiЕ«tД—, Soliaris. РџРѕ СЃР»РѕРІР°Рј РёСЃРїРѕР»РЅРёС‚РµР»СЊРЅРѕРіРѕ РїСЂРѕРґСЋСЃРµСЂР° LRT Р СѓС‚С‹ Р“СЂСѓР¶РёРЅСЃРєР°Р№С‚Рµ, РёРЅС‚РµСЂРµСЃ Рє РєРѕРЅРєСѓСЂСЃСѓ РІ СЌС‚РѕРј РіРѕРґСѓ Р±С‹Р» РЅРёР¶Рµ, С‡РµРј РІ РїСЂРѕС€Р»РѕРј РїРѕ РїСЂРёС‡РёРЅРµ С‚РѕРіРѕ, С‡С‚Рѕ Р›РёС‚РІР° СЃРјРѕРіР»Р° РїРѕРґС‚РІРµСЂРґРёС‚СЊ СЃРІРѕРµ СѓС‡Р°СЃС‚РёРµ РІ Р•РІСЂРѕРІРёРґРµРЅРёРё С‚РѕР»СЊРєРѕ РїРµСЂРµРґ СЃР°РјС‹Рј РЅРѕРІС‹Рј РіРѕРґРѕРј, РїРѕСЌС‚РѕРјСѓ РїСЂР°РІРёР»Р° РЅР°С†РёРѕРЅР°Р»СЊРЅРѕРіРѕ РѕС‚Р±РѕСЂР° Р±С‹Р»Рё РѕРїСѓР±Р»РёРєРѕРІР°РЅС‹ РїРѕР·Р¶Рµ Рё СЂСЏРґ Р°СЂС‚РёСЃС‚РѕРІ СЃРѕРѕР±С‰РёР»Рё, С‡С‚Рѕ РёРј РїСЂРѕСЃС‚Рѕ РЅРµ С…РІР°С‚РёР»Рѕ РІСЂРµРјРµРЅРё Р·Р°РїРёСЃР°С‚СЊ РїРµСЃРЅРё РґР»СЏ РєРѕРЅРєСѓСЂСЃР°. 06/01 As ESCKaz earlier informed, today LRT has set up press-conference, devoted to the Lithuanian participation in the Eurovision Song Contest 2010. The submission deadline for application to the national contest has been set on January 24th. 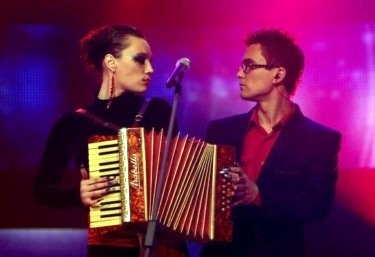 Only Lithuanian artists can take part as well as Lithuanian or mixed bands. There is no restriction on citizenship of songwriters. Long time curator and organizer of Eurovision preselection in Lithuania Jonas Vilimas has stated that the channel has already received at least 3 applications from famous Lithuanian artists. 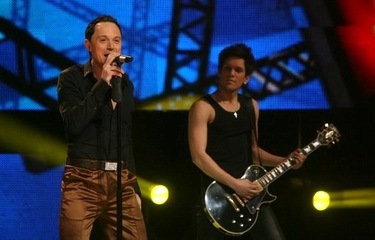 2009 entrant Sasha Son(g), Donatas Montvydas, band InCulto have already confirmed their participation. He also noted that national competition gives an excellent opportunity for young singers and unknown bands to advertize themselves. According to him, on 1st of February list of participants of the national selection will be published. 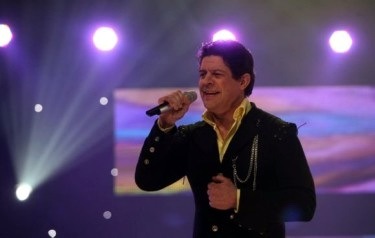 "Format of the preselection will depend on the number of submitted entries", informed ESCKaz Jonas Vilimas. 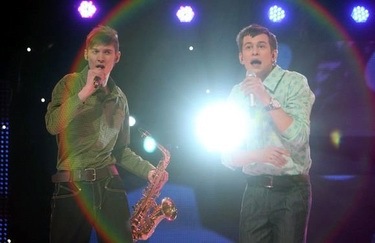 "Most likely, we will have from 3 to 6 preselection concerts in February-March. There certainly will be televoting involved, but we're still thinking on jury's role, it may be just commenting the performances, or may be involved in decision of the outcome of the contest as well". РљР°Рє ESCKaz Р°РЅРЅРѕРЅСЃРёСЂРѕРІР°Р» СЂР°РЅСЊС€Рµ, СЃРµРіРѕРґРЅСЏ LRT РїСЂРѕРІРµР»Рѕ РїСЂРµСЃСЃ-РєРѕРЅС„РµСЂРµРЅС†РёСЋ, РїРѕСЃРІСЏС‰РµРЅРЅСѓСЋ СѓС‡Р°СЃС‚РёСЋ Р›РёС‚РІС‹ РЅР° РєРѕРЅРєСѓСЂСЃРµ Р•РІСЂРѕРІРёРґРµРЅРёРµ 2010. РЎСЂРѕРє РїСЂРёРµРјР° Р·Р°СЏРІРѕРє РЅР° СѓС‡Р°СЃС‚РёРµ РІ РЅР°С†РёРѕРЅР°Р»СЊРЅРѕРј РєРѕРЅРєСѓСЂСЃРµ СѓСЃС‚Р°РЅРѕРІР»РµРЅ РґРѕ 24РіРѕ СЏРЅРІР°СЂСЏ. Р’ РѕС‚Р±РѕСЂРµ СЃРјРѕРіСѓС‚ РїСЂРёРЅСЏС‚СЊ СѓС‡Р°СЃС‚РёРµ С‚РѕР»СЊРєРѕ Р»РёС‚РѕРІСЃРєРёРµ РёСЃРїРѕР»РЅРёС‚РµР»Рё, Р° С‚Р°РєР¶Рµ Р»РёС‚РѕРІСЃРєРёРµ Рё СЃРјРµС€Р°РЅРЅС‹Рµ РіСЂСѓРїРїС‹. РћРіСЂР°РЅРёС‡РµРЅРёСЏ РїРѕ РіСЂР°Р¶РґР°РЅСЃС‚РІСѓ Р°РІС‚РѕСЂРѕРІ РЅРµ РїСЂРµРґСѓСЃРјРѕС‚СЂРµРЅС‹. РџРѕСЃС‚РѕСЏРЅРЅС‹Р№ РєСѓСЂР°С‚РѕСЂ Рё РѕСЂРіР°РЅРёР·Р°С‚РѕСЂ Р»РёС‚РѕРІСЃРєРёС… РѕС‚Р±РѕСЂРѕРІ Р™РѕРЅР°СЃ Р’РёР»РёРјР°СЃ Р·Р°СЏРІРёР» Рѕ С‚РѕРј, С‡С‚Рѕ С‚РµР»РµРєР°РЅР°Р» РїРѕР»СѓС‡РёР» СѓР¶Рµ РїРѕ РјРµРЅСЊС€РµР№ РјРµСЂРµ С‚СЂРё Р·Р°СЏРІРєРё РѕС‚ РёР·РІРµСЃС‚РЅС‹С… Р»РёС‚РѕРІСЃРєРёС… Р°СЂС‚РёСЃС‚РѕРІ. РЈС‡Р°СЃС‚РЅРёРє Р•РІСЂРѕРІРёРґРµРЅРёСЏ 2009 РЎР°С€Р° РЎРѕРЅ, Р”РѕРЅР°С‚Р°СЃ РњРѕРЅС‚РІРёРґР°СЃ, РіСЂСѓРїРїР° InCulto СѓР¶Рµ РїРѕРґС‚РІРµСЂРґРёР»Рё СЃРІРѕРµ СѓС‡Р°СЃС‚РёРµ. РћРЅ С‚Р°РєР¶Рµ РѕС‚РјРµС‚РёР», С‡С‚Рѕ РЅР°С†РёРѕРЅР°Р»СЊРЅС‹Р№ РѕС‚Р±РѕСЂ РїСЂРµРґРѕСЃС‚Р°РІР»СЏРµС‚ РѕС‚Р»РёС‡РЅСѓСЋ РІРѕР·РјРѕР¶РЅРѕСЃС‚СЊ РґР»СЏ РїСЂРѕРјРѕСѓС€РµРЅР° РґР»СЏ РјРѕР»РѕРґС‹С… РёСЃРїРѕР»РЅРёС‚РµР»РµР№ Рё РјР°Р»РѕРёР·РІРµСЃС‚РЅС‹С… РіСЂСѓРїРї. РџРѕ РµРіРѕ СЃР»РѕРІР°Рј, СЃРїРёСЃРѕРє СѓС‡Р°СЃС‚РЅРёРєРѕРІ РѕС‚Р±РѕСЂР° Р±СѓРґРµС‚ РѕРїСѓР±Р»РёРєРѕРІР°РЅ 1РіРѕ С„РµРІСЂР°Р»СЏ. "Р¤РѕСЂРјР°С‚ РѕС‚Р±РѕСЂР° Р±СѓРґРµС‚ Р·Р°РІРёСЃРµС‚СЊ РѕС‚ С‡РёСЃР»Р° РїРѕР»СѓС‡РµРЅРЅС‹С… Р·Р°СЏРІРѕРє", СЂР°СЃСЃРєР°Р·Р°Р» Р™РѕРЅР°СЃ Р’РёР»РёРјР°СЃ ESCKaz. "РЎРєРѕСЂРµРµ РІСЃРµРіРѕ, Р±СѓРґСѓС‚ РїСЂРѕРІРµРґРµРЅС‹ 3-6 РѕС‚Р±РѕСЂРѕС‡РЅС‹С… РєРѕРЅС†РµСЂС‚РѕРІ РІ С„РµРІСЂР°Р»Рµ-РјР°СЂС‚Рµ. Р’ РЅРёС… РІ Р»СЋР±РѕРј СЃР»СѓС‡Р°Рµ Р±СѓРґРµС‚ РїСЂРѕРІРѕРґРёС‚СЊСЃСЏ Р·СЂРёС‚РµР»СЊСЃРєРѕРµ РіРѕР»РѕСЃРѕРІР°РЅРёРµ, Р° РІРѕС‚ СЃ СЂРѕР»СЊСЋ Р¶СЋСЂРё РїРѕРєР° РѕРїСЂРµРґРµР»РµРЅРЅРѕСЃС‚Рё РЅРµС‚ - РѕРЅР° РјРѕР¶РµС‚ Р±С‹С‚СЊ РєР°Рє РєРѕРЅСЃСѓР»СЊС‚Р°С‚РёРІРЅРѕР№, С‚Р°Рє Рё РІР»РёСЏС‚СЊ РЅР° СЂРµР·СѓР»СЊС‚Р°С‚ РєРѕРЅРєСѓСЂСЃР°". 31/12 On the last day of 2009 broadcaster LRT and AB "TEO LT" have signed a letter of intent, which opened the possibility of LRT participation in the 2010 Eurovision Song Contest in Norway. "This is a great New Year gift for Eurovision Song Contest fans, and on behalf of all viewers LRT thanks our partners who have helped us to secure participation in the contest that helps to promote the name of our country. 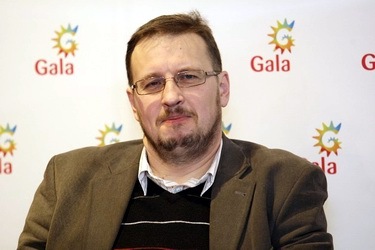 This will be particularly important in 2010, when 20th anniversary of Lithuania is celebrated", - said the Director-General of the LRT Audrius Siaurusevicius. 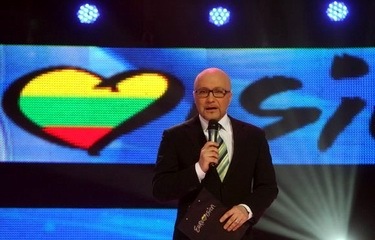 National preselection of Lithuania is planned to be run in February. More information on LRT participation and preselection plans will be announced at the press-conference on 6th of January. Р’ РїРѕСЃР»РµРґРЅРёР№ РґРµРЅСЊ РіРѕРґР° Р›Р Рў Рё РђРћ Teo LT РїРѕРґРїРёСЃР°Р»Рё РїСЂРѕС‚РѕРєРѕР» Рѕ РЅР°РјРµСЂРµРЅРёСЏС…, РєРѕС‚РѕСЂС‹Р№ РѕС‚РєСЂС‹РІР°РµС‚ РґР»СЏ Р›РёС‚РІС‹ РІРѕР·РјРѕР¶РЅРѕСЃС‚СЊ РїСЂРёРЅСЏС‚СЊ СѓС‡Р°СЃС‚РёРµ РІ РєРѕРЅРєСѓСЂСЃРµ Р•РІСЂРѕРІРёРґРµРЅРёРµ РІ РќРѕСЂРІРµРіРёРё. "Р­С‚Рѕ РїСЂРµРєСЂР°СЃРЅС‹Р№ РЅРѕРІРѕРіРѕРґРЅРёР№ РїРѕРґР°СЂРѕРє РґР»СЏ РїРѕРєР»РѕРЅРЅРёРєРѕРІ РєРѕРЅРєСѓСЂСЃР° Р•РІСЂРѕРІРёРґРµРЅРёРµ. Р›Р Рў РѕС‚ РёРјРµРЅРё РІСЃРµС… Р·СЂРёС‚РµР»РµР№ Р±Р»Р°РіРѕРґР°СЂРёС‚ РїР°СЂС‚РЅРµСЂРѕРІ, Р±Р»Р°РіРѕРґР°СЂСЏ РєРѕС‚РѕСЂС‹Рј РјС‹ СЃРјРѕР¶РµРј РїСЂРёРЅСЏС‚СЊ СѓС‡Р°СЃС‚РёРµ РІ РєРѕРЅРєСѓСЂСЃРµ, РІРµРґСЊ РёРјРµРЅРЅРѕ РЅР° РЅРµРј РїСЂРѕСЃР»Р°РІР»СЏРµС‚СЃСЏ РёРјСЏ Р›РёС‚РІС‹. Р­С‚Рѕ Р±СѓРґРµС‚ РѕСЃРѕР±РµРЅРЅРѕ РІР°Р¶РЅРѕ РІ 2010 РіРѕРґСѓ, РєРѕРіРґР° Р›РёС‚РІР° Р±СѓРґРµС‚ РѕС‚РјРµС‡Р°С‚СЊ 20-Р»РµС‚РёРµ РЅРµР·Р°РІРёСЃРёРјРѕСЃС‚Рё", - РїРѕРґС‡РµСЂРєРЅСѓР» РіРµРЅРµСЂР°Р»СЊРЅС‹Р№ РґРёСЂРµРєС‚РѕСЂ Р›Р Рў РђСѓРґСЂСЋСЃ РЎСЏСѓСЂСѓСЃСЏРІРёС‡СЋСЃ. РќР°С†РёРѕРЅР°Р»СЊРЅС‹Р№ РѕС‚Р±РѕСЂРѕС‡РЅС‹Р№ РєРѕРЅРєСѓСЂСЃ Р›Р Рў РїР»Р°РЅРёСЂСѓРµС‚ РѕСЂРіР°РЅРёР·РѕРІР°С‚СЊ РІ С„РµРІСЂР°Р»Рµ 2010 РіРѕРґР°. РџРѕРґСЂРѕР±РЅРµРµ РѕР± СѓС‡Р°СЃС‚РёРё Р›РёС‚РІС‹ РІ Р•РІСЂРѕРІРёРґРµРЅРёРё Р±СѓРґРµС‚ РѕР±СЉСЏРІР»РµРЅРѕ РЅР° РїСЂРµСЃСЃ-РєРѕРЅС„РµСЂРµРЅС†РёРё 6 СЏРЅРІР°СЂСЏ. 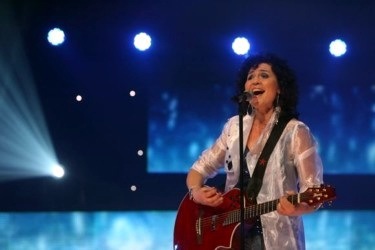 15/12 Lithuania has declared it's formal withdrawal from Eurovision 2010 contest, but there is still time to find sponsors and to return to the show, says the Lithuanian television director Rimvydas Paleckis. "Yesterday was the last day to decide on participation, and we decided to declare non-participation, as withdrawal at the later stage will mean financial sanctions towards the broadcaster". However, according to the Mr Paleckis view, this decision does not mean that Lithuania will not be able to participate in Eurovision 2010. "We're still interested to participate in the contest and Eurovision organizers are interested in having more countries in the competition. I think that even if we have formally withdrawn, we still will be given opportunities to return and to be included back in the list of participants. Now all efforts are aimed to find sponsorships for that", - said R. Paleckis at the press-briefing. He informed that on his opinion return can still be possible before EBU releases the official list of participants in January. Paleckis has stated that Lithuania is interested in it's popularization in the world, and the Eurovision contest is one of the best tribunes with the huge audience. Broadcaster also hopes that in the year of celebration of 20 years of Independence of the country, Department of Tourism, Ministry of Foreign Affairs, Cabinet Office who are organizing the celebrations of this anniversary occasion, will also be be able to assist the LRT financially in the Eurovision campaign. Broadcaster needs at least 300 thousand litai for this (90 thousand Euro). "It's the crisis ... participation fee, preparation, everything else would cost nearly half a million litas," - says head of Lithuanian delegation Jonas Vilimas to Lietuvos zinios. TV broadcaster has found the money to pay participation fee, but is unable to cover other costs. According to Vilimas, they have been searching for sponsors and even reached preliminary agreements, but then those have changed their mind. Earlier this year, due to financial problems, even in face of good results, Lithuanian broadcaster has withdrawn from the Junior and Dance Eurovisions. According to the Lithuanian television manager it is still unknown how the representative of the country will be elected in case of participation. "Maybe be we will do it differently, not as we have done every past year, when the selection took place every week and was run in stages. Perhaps it may be just one evening show", he noted adding that broadcaster will still seek the opportunity of the public in the search of participant. Р›РёС‚РІР° Р·Р°СЏРІРёР»Р° Рѕ СЃРІРѕРµРј С„РѕСЂРјР°Р»СЊРЅРѕРј СЃРЅСЏС‚РёРё СЃ Р•РІСЂРѕРІРёРґРµРЅРёСЏ 2010, РЅРѕ РІ С‚Рѕ Р¶Рµ РІСЂРµРјСЏ РЅР°РґРµРµС‚СЃСЏ РЅР°Р№С‚Рё СЃРїРѕРЅСЃРѕСЂРѕРІ Рё РІРµСЂРЅСѓС‚СЊСЃСЏ РЅР° С€РѕСѓ, Р·Р°СЏРІРёР» СЃРµРіРѕРґРЅСЏ РґРёСЂРµРєС‚РѕСЂ С‚РµР»РµРІРёРґРµРЅРёСЏ Р›РёС‚РІС‹ Р РёРјРІРёРґР°СЃ РџР°Р»РµС†РєРёСЃ. "Р’С‡РµСЂР° Р±С‹Р» РєСЂР°Р№РЅРёР№ СЃСЂРѕРє РґР»СЏ РїРѕРґС‚РІРµСЂР¶РґРµРЅРёСЏ СѓС‡Р°СЃС‚РёСЏ РІ С€РѕСѓ, Рё РјС‹ СЂРµС€РёР»Рё РѕР±СЉСЏРІРёС‚СЊ Рѕ СЃРІРѕРµРј РЅРµСѓС‡Р°СЃС‚РёРё, РїРѕС‚РѕРјСѓ С‡С‚Рѕ СЃРЅСЏС‚РёРµ Р·Р°СЏРІРєРё РЅР° Р±РѕР»РµРµ РїРѕР·РґРЅРµР№ СЃС‚Р°РґРёРё РїСЂРёРІРµР»Рѕ Р±С‹ Рє С„РёРЅР°РЅСЃРѕРІС‹Рј СЃР°РЅРєС†РёСЏРј РІ Р°РґСЂРµСЃ С‚РµР»РµРєР°РЅР°Р»Р°". РћРґРЅР°РєРѕ, РїРѕ РјРЅРµРЅРёСЋ Рі-РЅР° РџР°Р»РµС†РєРёСЃР°, СЌС‚Рѕ СЂРµС€РµРЅРёРµ РµС‰Рµ РЅРµ РѕР·РЅР°С‡Р°РµС‚ С‚РѕРіРѕ, С‡С‚Рѕ Р›РёС‚РІР° РЅРµ СЃРјРѕР¶РµС‚ РїСЂРёРЅСЏС‚СЊ СѓС‡Р°СЃС‚РёРµ РІ Р•РІСЂРѕРІРёРґРµРЅРёРё 2010. "РњС‹ РІСЃРµ РµС‰Рµ Р·Р°РёРЅС‚РµСЂРµСЃРѕРІР°РЅС‹ СѓС‡Р°СЃС‚РІРѕРІР°С‚СЊ РІ РєРѕРЅРєСѓСЂСЃРµ, Рё РѕСЂРіР°РЅРёР·Р°С‚РѕСЂС‹ Р•РІСЂРѕРІРёРґРµРЅРёСЏ С‚РѕР¶Рµ Р·Р°РёРЅС‚РµСЂРµСЃРѕРІР°РЅС‹ РІ СѓС‡Р°СЃС‚РёРё РєР°Рє РјРѕР¶РЅРѕ Р±РѕР»СЊС€РµРіРѕ РєРѕР»РёС‡РµСЃС‚РІР° СЃС‚СЂР°РЅ. РЇ РґСѓРјР°СЋ, С‡С‚Рѕ РґР°Р¶Рµ РЅРµСЃРјРѕС‚СЂСЏ РЅР° С‚Рѕ, С‡С‚Рѕ С„РѕСЂРјР°Р»СЊРЅРѕ РјС‹ СЃРЅСЏР»Рё СЃРІРѕСЋ Р·Р°СЏРІРєСѓ, РЅР°Рј СЂР°Р·СЂРµС€Р°С‚ РІРµСЂРЅСѓС‚СЊСЃСЏ Рё РїСЂРёРЅСЏС‚СЊ СѓС‡Р°СЃС‚РёРµ РІ РЅРµРј СѓС‡Р°СЃС‚РёРµ. РўРµРїРµСЂСЊ РІСЃРµ РЅР°С€Рё СѓСЃРёР»РёСЏ РЅР°РїСЂР°РІР»РµРЅС‹ РЅР° РїРѕРёСЃРє СЃРїРѕРЅСЃРѕСЂРѕРІ РґР»СЏ СЌС‚РѕРіРѕ", Р·Р°СЏРІРёР» Р .РџР°Р»РµС†РєРёСЃ РЅР° РїСЂРµСЃСЃ-Р±СЂРёС„РёРЅРіРµ. РћРЅ РїСЂРѕРёРЅС„РѕСЂРјРёСЂРѕРІР°Р», С‡С‚Рѕ РїРѕ РµРіРѕ РјРЅРµРЅРёСЋ РІРѕР·РІСЂР°С‰РµРЅРёРµ РІРѕР·РјРѕР¶РЅРѕ РґРѕ С‚РѕРіРѕ РјРѕРјРµРЅС‚Р°, РєР°Рє Р•Р’РЎ РѕРїСѓР±Р»РёРєСѓРµС‚ РѕС„РёС†РёР°Р»СЊРЅС‹Р№ СЃРїРёСЃРѕРє СѓС‡Р°СЃС‚РЅРёРєРѕРІ РєРѕРЅРєСѓСЂСЃР° РІ СЏРЅРІР°СЂРµ. РџР°Р»РµС†РєРёСЃ Р·Р°СЏРІРёР» Рѕ С‚РѕРј, С‡С‚Рѕ Р›РёС‚РІР° Р·Р°РёРЅС‚РµСЂРµСЃРѕРІР°РЅР° РІ РїРѕРїСѓР»СЏСЂРёР·Р°С†РёРё СЃРІРѕРµР№ СЃС‚СЂР°РЅС‹ РІ РјРёСЂРµ Рё РєРѕРЅРєСѓСЂСЃ Р•РІСЂРѕРІРёРґРµРЅРёРµ - СЌС‚Рѕ РѕРґРЅР° РёР· Р»СѓС‡С€РёС… С‚СЂРёР±СѓРЅ СЃ РѕРіСЂРѕРјРЅРѕР№ Р°СѓРґРёС‚РѕСЂРёРµР№. РўРµР»РµРєР°РЅР°Р» С‚Р°РєР¶Рµ РЅР°РґРµРµС‚СЃСЏ, С‡С‚Рѕ РІ РіРѕРґ РїСЂР°Р·РґРЅРѕРІР°РЅРёСЏ 20Р№ РіРѕРґРѕРІС€РёРЅС‹ РЅРµР·Р°РІРёСЃРёРјРѕСЃС‚Рё СЃС‚СЂР°РЅС‹, Р”РµРїР°СЂС‚Р°РјРµРЅС‚ РўСѓСЂРёР·РјР°, РњРёРЅРёСЃС‚РµСЂСЃС‚РІРѕ Р�РЅРѕСЃС‚СЂР°РЅРЅС‹С… РґРµР» Рё РљР°Р±РёРЅРµС‚ РњРёРЅРёСЃС‚СЂРѕРІ, Р·Р°РЅСЏС‚С‹Рµ РѕСЂРіР°РЅРёР·Р°С†РёРµР№ РјРµСЂРѕРїСЂРёСЏС‚РёР№ РІ С‡РµСЃС‚СЊ СЌС‚РѕРіРѕ СЋР±РёР»РµСЏ, С‚Р°РєР¶Рµ СЃРјРѕРіСѓС‚ С„РёРЅР°РЅСЃРѕРІРѕ РїРѕРјРѕС‡СЊ Рё LRT РІ РµРµ РїСЂРѕРµРєС‚Рµ СѓС‡Р°СЃС‚РёСЏ РІ Р•РІСЂРѕРІРёРґРµРЅРёРё. РќР° СЌС‚Рѕ С‚РµР»РµРєРѕРјРїР°РЅРёРё С‚СЂРµР±СѓРµС‚СЃСЏ РїРѕ РјРµРЅСЊС€РµР№ РјРµСЂРµ 300 С‚С‹СЃСЏС‡ Р»РёС‚РѕРІ (90 С‚С‹СЃСЏС‡ РµРІСЂРѕ). "РљСЂРёР·РёСЃ... РІР·РЅРѕСЃ Р·Р° СѓС‡Р°СЃС‚РёРµ, РїРѕРґРіРѕС‚РѕРІРєР° Рё РІСЃРµ РѕСЃС‚Р°Р»СЊРЅРѕРµ РѕР±РѕР№РґСѓС‚СЃСЏ РІ СЃСѓРјРјСѓ РѕРєРѕР»Рѕ РїРѕР»СѓРјРёР»Р»РёРѕРЅР° Р»РёС‚РѕРІ", РіРѕРІРѕСЂРёС‚ РіР»Р°РІР° РґРµР»РµРіР°С†РёРё Р›РёС‚РІС‹ Р™РѕРЅР°СЃ Р’РёР»РёРјР°СЃ. РўРµР»РµРєРѕРјРїР°РЅРёСЏ РЅР°С€Р»Р° РЅРµРѕР±С…РѕРґРёРјС‹Рµ С„РёРЅР°РЅСЃС‹ РґР»СЏ РѕРїР»Р°С‚С‹ РІР·РЅРѕСЃР° Р·Р° СѓС‡Р°СЃС‚РёРµ, РЅРѕ РЅРµ РјРѕР¶РµС‚ РїРѕРєСЂС‹С‚СЊ РѕСЃС‚Р°Р»СЊРЅС‹Рµ СЂР°СЃС…РѕРґС‹. РљР°Рє СЂР°СЃСЃРєР°Р·Р°Р» Р’РёР»РёРјР°СЃ, РѕРЅРё РёСЃРєР°Р»Рё СЃРїРѕРЅСЃРѕСЂРѕРІ Рё РґР°Р¶Рµ СѓР¶Рµ РґРѕСЃС‚РёРіР»Рё РїСЂРµРґРІР°СЂРёС‚РµР»СЊРЅРѕРіРѕ СЃРѕРіР»Р°С€РµРЅРёСЏ, РЅРѕ РІ РїРѕСЃР»РµРґРЅРёР№ РјРѕРјРµРЅС‚ С‚Рµ РёР·РјРµРЅРёР»Рё СЃРІРѕРµ РјРЅРµРЅРёРµ. Р Р°РЅРµРµ РІ СЌС‚РѕРј РіРѕРґСѓ РїРѕ С„РёРЅР°РЅСЃРѕРІС‹Рј РїСЂРёС‡РёРЅР°Рј, РЅРµСЃРјРѕС‚СЂСЏ РЅР° РїРѕР»РѕР¶РёС‚РµР»СЊРЅС‹Рµ СЂРµР·СѓР»СЊС‚Р°С‚С‹, С‚РµР»РµРєРѕРјРїР°РЅРёСЏ Р›РёС‚РІС‹ РѕС‚РєР°Р·Р°Р»Р°СЃСЊ РѕС‚ СѓС‡Р°СЃС‚РёСЏ РІ Р”РµС‚СЃРєРѕРј Рё РўР°РЅС†РµРІР°Р»СЊРЅРѕРј Р•РІСЂРѕРІРёРґРµРЅРёСЏС…. РџРѕ СЃР»РѕРІР°Рј РґРёСЂРµРєС‚РѕСЂР° С‚РµР»РµРєР°РЅР°Р»Р° С‚Рѕ, РєР°РєРёРј РѕР±СЂР°Р·РѕРј Р±СѓРґРµС‚ РІС‹Р±СЂР°РЅ РїСЂРµРґСЃС‚Р°РІРёС‚РµР»СЊ СЃС‚СЂР°РЅС‹ РІ СЃР»СѓС‡Р°Рµ, РµСЃР»Рё РµРµ СѓС‡Р°СЃС‚РёРµ РІ РєРѕРЅРєСѓСЂСЃРµ РІСЃРµ-С‚Р°РєРё СЃРѕСЃС‚РѕРёС‚СЃСЏ, РїРѕРєР° РЅРµ РёР·РІРµСЃС‚РЅРѕ. "РњРѕР¶РµС‚ Р±С‹С‚СЊ РјС‹ РёР·РјРµРЅРёРј СЃС…РµРјСѓ РѕС‚Р±РѕСЂР° Рё РѕС‚РєР°Р¶РµРјСЃСЏ РѕС‚ РјРЅРѕРіРѕРЅРµРґРµР»СЊРЅРѕРіРѕ С„РѕСЂРјР°С‚Р° Рё РїСЂРѕРІРµРґРµРј РµРіРѕ РІ СЂР°РјРєР°С… РІСЃРµРіРѕ РѕРґРЅРѕРіРѕ С€РѕСѓ", Р·Р°РјРµС‚РёР» РѕРЅ, РґРѕР±Р°РІРёРІ, С‡С‚Рѕ С‚РµР»РµРєРѕРјРїР°РЅРёСЏ РІСЃРµ СЂР°РІРЅРѕ Р±СѓРґРµС‚ СЃРїСЂР°С€РёРІР°С‚СЊ РјРЅРµРЅРёСЏ РїСѓР±Р»РёРєРё РІ РІРѕРїСЂРѕСЃРµ РѕС‚Р±РѕСЂР° РєРѕРЅРєСѓСЂСЃР°РЅС‚Р°.